Picking Solutions - Warehouse and Distribution - Automatic Systems, Inc. Picking Solutions are part of a “Person to Goods” approach to picking and provide a fast, accurate, paperless fulfillment solution. Businesses are always under pressure to increase margins by reducing operating expenses. Maximizing order picking productivity is an excellent way to cut costs in a warehousing/distribution operation since these operations are very labor-intensive and costly. Different picking technologies are employed to improve order picking productivity, minimize operator travel and improve picking accuracy by reducing operator errors. 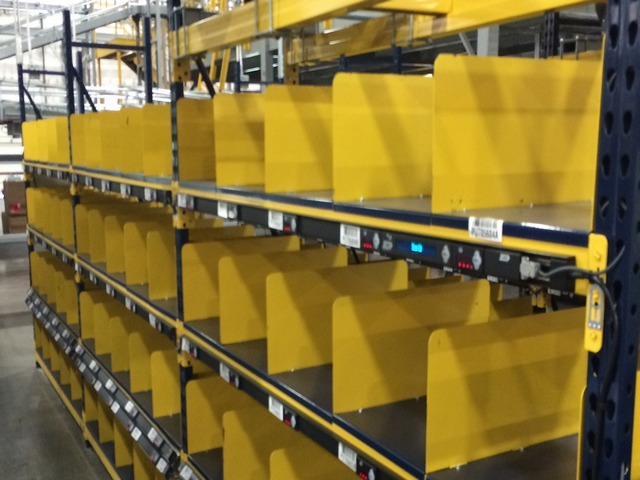 A Pick-to-Light system uses a series of lights placed above each storage slot in a picking operation such as carton flow or static shelving/racking. Operators typically use handheld barcode scanners to scan the barcode on a carton or tote, representing a unique order. When a picker scans the order, the light(s) above the appropriate storage area illuminate and show item quantity pick. The system confirms each pick when the operator presses the illuminated button, or each item is scanned and placed into the tote/bin. When no more lights are illuminated above a storage location picking in that area is complete. 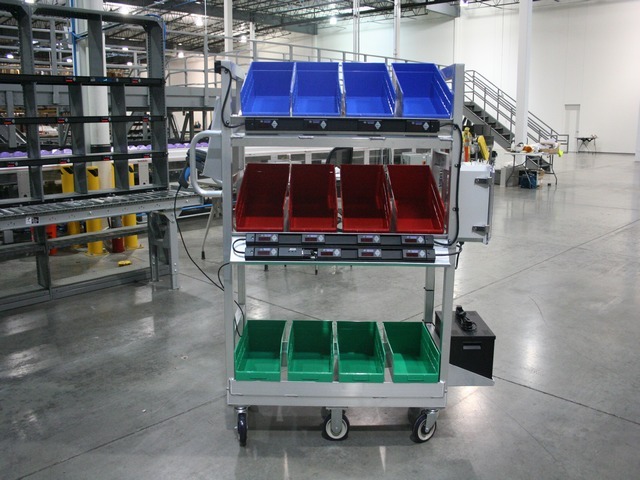 Picking zones can further improve productivity by passing orders from zone to zone using conveyors or carts eliminating excess employee travel. This method is sometimes called a “Pick-n-Pass” method and it is a simple system allowing the facility to adjust the number of workers and zones utilized based on how busy the facility is that day. On busier/high volume days it would make sense to have smaller zones with more workers picking to increase throughput and on slower days assign larger zones with fewer workers to reduce the number of workers needed for fulfillment. Software packages interface with host business systems or Warehouse Management Systems (WMS) to provide real-time monitoring of order pick times and product locations. Pick-to-Light systems are a proven and cost-effective solution to reducing operating expenses and increasing order picking efficiency in today’s warehousing operations. Put-to-light systems are similar in nature to a pick-to-light system, only instead of picking the product to ship to consumers, it is designed to replenish stock. 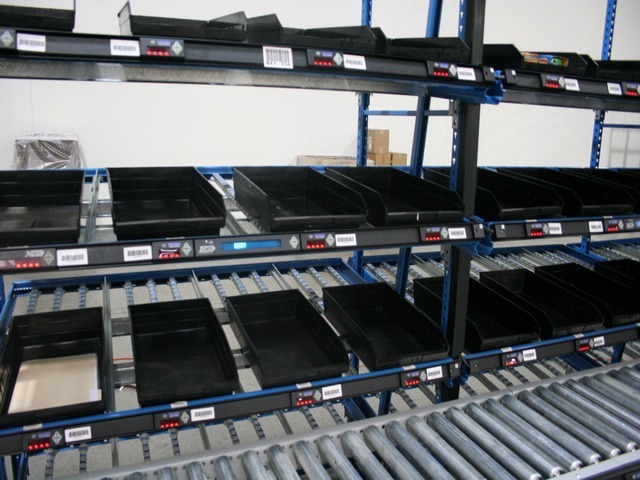 Like pick-to-light, designers typically mount put-to-light systems on shelving or carton flow, with the individual open store shipping boxes above or below the designated put to light device. A Put Wall is a light directed sorting station used in receiving, packing and shipping operations. It’s generally a wall of locations where operators place items into the slots associated with specific orders, zones, or store locations. Put walls offer a very efficient and highly accurate order fulfillment solution for operations with large numbers of SKUs and a high numbers of orders to fill. These generally consist of either handheld scanners or finger/wrist-mounted wearable scanners. These devices interface with the businesses ERP/WMS and are used to read bar codes, receive items, put away items, pick items and ship items. 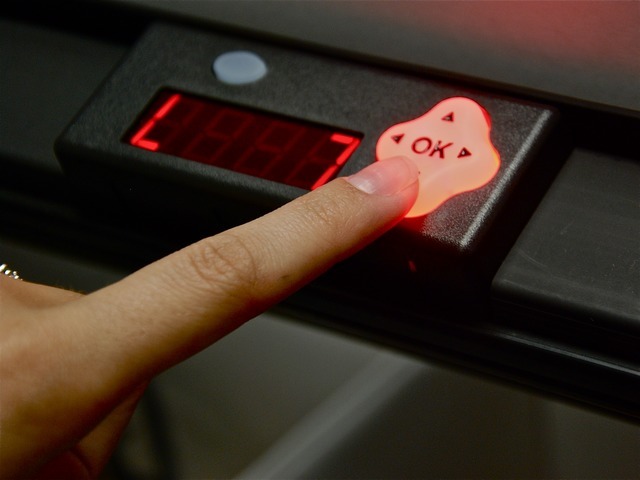 Voice picking is a paperless picking solution designed for warehouses where there are many SKUs that require a low number of “touches” per unit. Voice picking is an excellent alternative to pick-to-light in these situations since putting large numbers of “lights” on racks to pick from can be cost prohibitive. 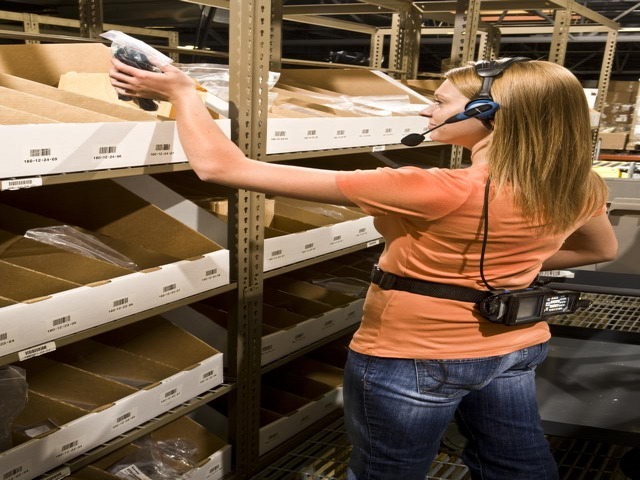 Augmented picking is accomplished utilizing wearable technology and combines the best of vision and voice-guided picking to produce a faster, hands-free solution for warehousing, industrial and retail environments. Augmented reality uses smart glasses to merge virtual images and information with an operator’s surrounding environment. The operator wears the glasses, follows the commands given by the integrated voice system, and scans product barcodes all within the glasses’ display. The combination of information provided in this way provides ease of use, speed and accuracy beyond what is possible with other warehouse picking technologies.